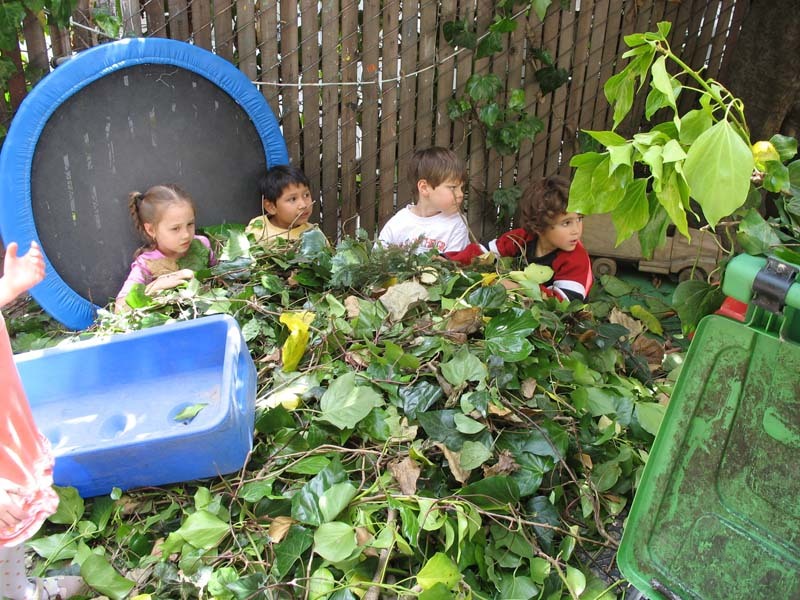 The Buen Dia program integrates not only materials and activities that are sensitive to the uniqueness of each child but also fosters a conscious way of being, talking and acting according to the needs of each child. Teachers support each family's cultural heritage and strive to make the classroom a comfortable place to be. Parents are an important part of the Buen Dia community and constitute the best resource to enrich our school. The year begins with an activity called Personality Bags/Bolsas de Personalidad when each child brings to school some special things to share. This is a way to highlight the children and learn more about each of them. We also organize a family unit called Nuestra Familias when each child brings photos of his or her family. A photo display gives our community the opportunity to view the many different kinds of families there are. In November the children bring organic vegetables of their choice to make Friendship Soup. The children celebrate the Lunar New Year in February by creating a huge dragon for a parade around the block accompanied by live music. In May the children serve their parents breakfast for Parents Appreciation Day. In preparation, the children paint aprons, cook food, paint menus and decorate the tables. Throughout the year we celebrate holidays in nonreligious ways and encourage parents to participate -- from making a group presentation to making snacks with the children. Our celebrations reflect the parent population and the greater community in San Francisco, with the hope of honoring the children's reality. The daily routine provides a framework within which the children alternate between activities that they choose to participate in and those which everyone participates in together, either in large or small groups. Daily activities are described under the Daily Schedule.